I get this question a lot as a graphic designer and stationery store owner. 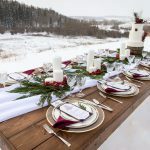 I always struggle to answer this question, not sure where to begin as many factors determine a custom invitation price. “It depends” I say. For example; How elaborate is the style? How many are we printing? What embellishments are we incorporating? Do you need addressing? 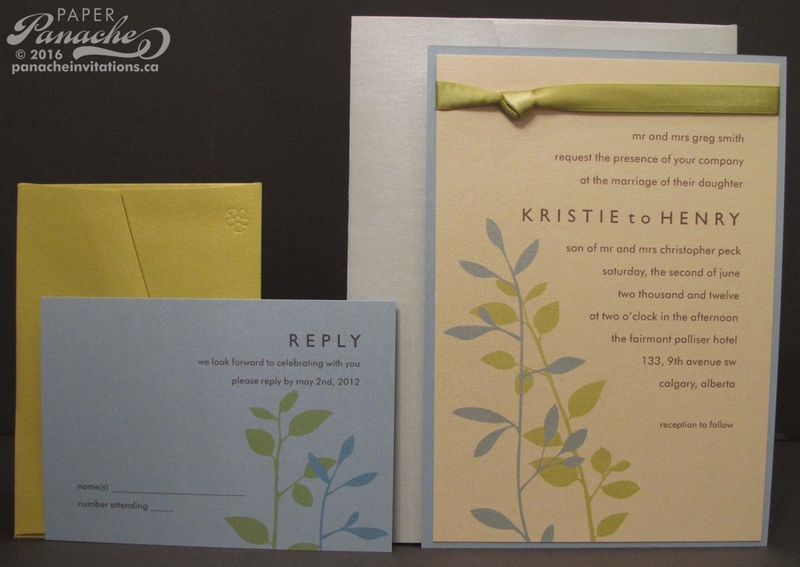 Most couples don’t know where to begin when it comes to ordering invitations. I suggest to start with a stationery budget. Determine, with the venue choice in mind, whether the stationery is to be casual or formal. 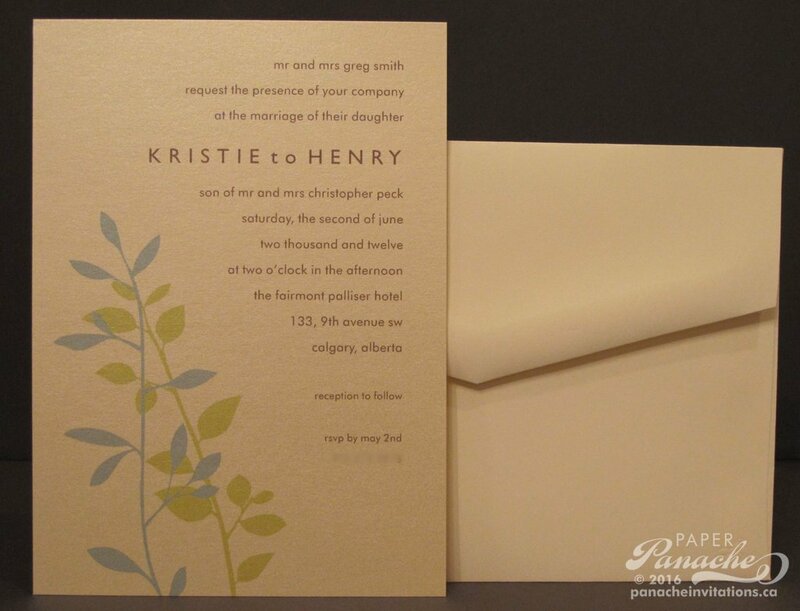 I would hate to show the bride and groom planning a casual outdoor wedding a $20 invite with silk ribbon corners and Swarovski crystals and conversely I wouldn’t recommend a plain one layer invite to a bride getting married at a formal hotel like The Fairmont Palliser! It is important for invitations to set the stage of the event to come, so that guests know what to expect. For most brides and grooms, this is the first time for planning a big event. Budget and expense can be quite overwhelming, however, having a starting point with ‘goals’ can help keep them on task. 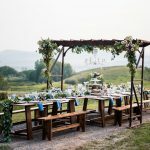 Most brides and grooms have no idea how much an invitation costs, and can be quite shocked at the first invite estimate. I just think ‘How much did you spend on the last Hallmark or Carlton greeting card you purchased?’ Chances are it was more than $5, and that’s not even a custom job! According to Weddingbells’ Annual Reader Survey in 2011, weddings are costing more. The average expected cost of a wedding in 2011 was $23,330 (up from $20,129 in 2010). 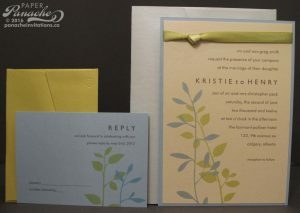 The average bride and groom will spend 2% of the overall wedding budget on invitations & stationery. This may include save-the-dates, invitations, programs, seating and place cards, menu cards and thank you notes. 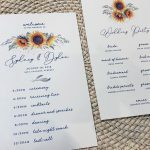 So, after doing the math it looks like most brides and grooms spend an estimated price of $466.60 on wedding stationery. 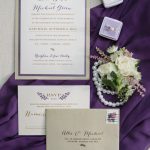 I have over 7 years experience in the wedding invitation business and I have to say that the average bride I help spends between $5 – $9 an invite. I have put together three samples for you to look at so that you can see what you can get for your money! I have kept with the same theme for each mockup, but have changed the number of pieces, and made each invite more elaborate than the last. This way you will be able to see the what the least expensive, the middle, and the most expensive invites look like. 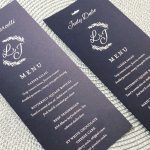 The first sample is printed on a shimmer cardstock with a matte envelope and the rsvp is included on the invite so you do not need a separate card. This invite runs at $3.25 per invite at most, including return addressed envelopes. The second mock up has the same invite, but it is two layers with a ribbon, and has a separate rsvp card and envelope, with return addressed envelopes. This invite runs at around $7.25 per invite. 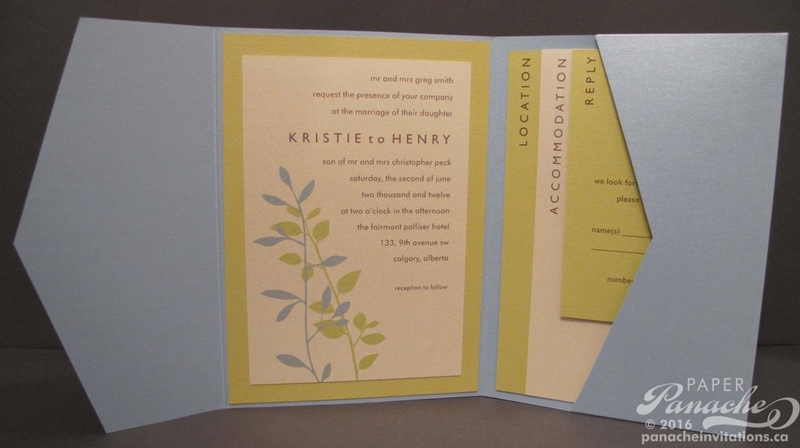 The last invite includes a 2 layer invite glued into a pocket with a location map card, accommodations card, and an rsvp card and envelope, with return addressed envelope. This invites runs at $12.00 per invite at most. I do offer the option of doing the assembly yourself, and if you are crafty this is a great way to save some money. 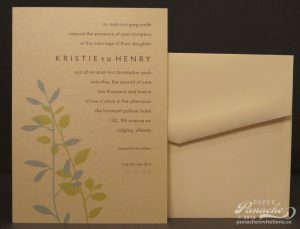 I also have a great selection of paper products if you would like to print your own invites! All in all, Paper Panache loves designing all sorts of invites from the simple yet sophisticated to the intricate and expensive! I believe we can work with any budget to create something personal and special for every couple!